Ready to Start Your Secrets Journey? Join Kerry Clarensau as she leads your group on a journey that reveals the eight biblical secrets every wife needs to know. 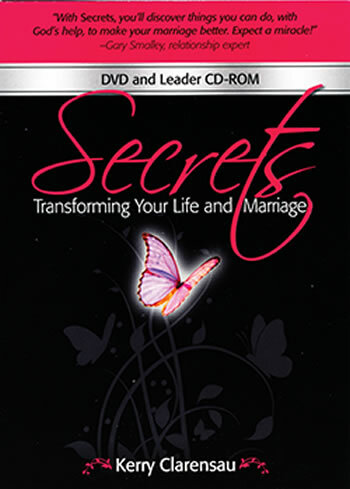 The Secrets DVD and Leader CD-ROM have everything you need to get started. Reproducible postcards, flyers, posters, prayer cards, a customizable PowerPoint® slide, and more!